Sadly living in West Virginia we don’t have a lot of options for good and unique food. It’s pretty limited to Chinese or some sort of southern style fare. 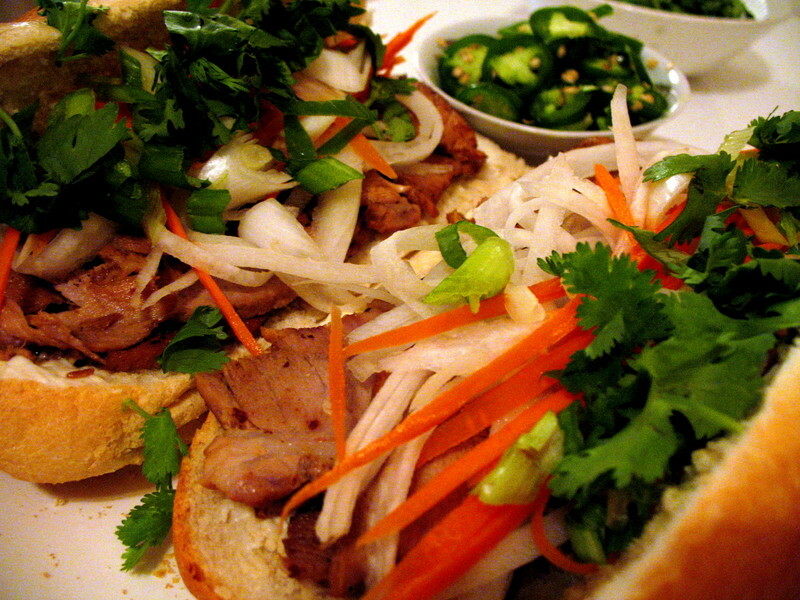 I adore Thai, Vietnamese, Indian and well… pretty much anything different and full of flavor. My sister in law came home one day and made these delicious little babies and I was HOOKED! It’s worth seeking out decent, fresh, crusty rolls and I have to say that we use a picked cucumber (not pickles) just a cucumber that has a light seasoning of vinegar and spices as well as lightly “pickled” jicama and carrots on ours. Again, they are prepared in a vinegar and then left to pickle for a bit before eating. I don’t usually get too hot over sandwiches. Most of the time, they are somewhat eh… to me. These, I ADORE! They are super fresh with bright ingredients and huge flavor! I’d try cooking the meat ahead of time and bringing it to room temperature for ease of preparation. I see a lot of recipes that say to use ground pork, personally I like the tenderloin. It’s better for you and has great flavor. Don’t forget the fresh cilantro. It makes these sandwiches. As I’ve mentioned before, I have a strong love for spicy, Asian food. And while I love nothing more than picking up the phone, hitting speed dial to our local China Spring restaurant, if I did this as often as I craved Chinese food, I’d have to have a second job to foot the bill! Last night I set out to make a chicken stir-fry, of some sorts, and to try and cook those now frozen crab rangoons that I crafted and wrangled with the previous night. No, tonight I’d win, gosh darn-it! I had all of the veggies all ready to prep. Then it dawned on me! How hard would it really be to make a spicy orange chicken? Stir-fry’s…while I do love them, sometimes they can be rather flat tasting when homemade. Okay, perchance it got late in the day and I did not want to get into finding some stellar recipe for a chicken stir fry that did not taste like every homemade stir fry, I’ve ever made. Bland. Flat. Uninteresting. Maybe it’s because we don’t add MSG? Maybe it’s because I’m nothing close to Asian, but am in fact certifiably, 100% Celtic blood. Born and raised on bland o’ food! How can I possibly make something close to my local Asian take-out? I’m still just an Irish gal, after all! 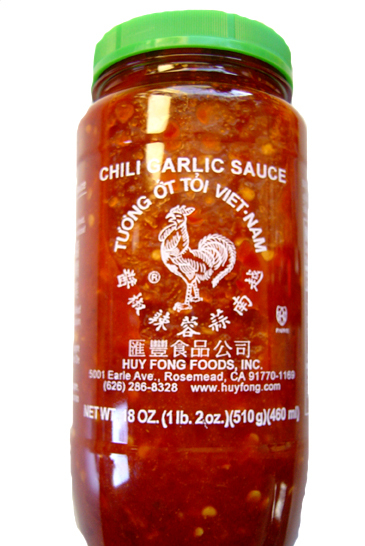 I decided to look for a few good recipes, as I so often do, to find the perfect combination of ingredients that I (thankfully) had on hand to make a good, spicy, Szechuan chicken for dinner. My three key ingredients I knew I had were boneless chicken thighs, oranges and fresh broccoli. I was good to go! First in order… Timing is everything and is usually one of the most difficult things for any new chef to master. I like to make my dinners as easy and seamless as possible and I like to have everything come out together at once. It took years to figure that out. I also am a fan of keeping my kitchen clean as I go. There is generally time in between things to wash a pan or two. It’s much nicer to have your work space clean and organized. 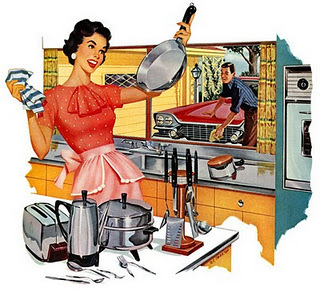 Don’t get me going on folks who make a HUGE mess as they cook! Who wants that at the end of a thoughtfully prepared dinner? Not me! Get the rice into the steamer and get it going! Okay, there is 40 minutes at the very least. If you’re cooking on the stove, you got to watch it to be sure it does not boil over or burn. Again, my reason for owning my rice cooker (*see note below). Next, get the boneless chicken thighs out so they are not super cold. It’s okay as long as your not leaving them out for hours in a warm room. They are going to have to get hot anyway while cooking. Help them out a little. Unless you have a second cutting board, wait to cut the chicken until you’ve prepared your veggies. 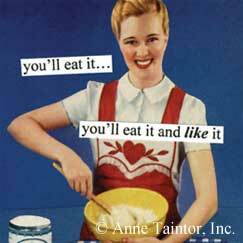 You don’t want cross contamination. Chop broccoli and red peppers. Broccoli into sizable chunks and red peppers, diced. Okay, Good! Now, to make the orange sauce. It’s easy! With your orange sauce ready to go, it’s time to delve into cutting your chicken. Take chicken thigh cubes and place in zip-lock bag with flour, s & p and shake till chicken is well coated. It might be wise to do this in smaller batches, with about 1/4 of your cubed chicken, so as not to muck up the flour with chicken bits! Heat 1.5″ vegetable oil in fry pan on medium heat. Not too hot!! Shake off chicken cubes and place in oil. Cook approx. 4 minutes and flip over. Make sure they are nice and brown. Place cooked on toweling to absorb oil. Start next batch of chicken. Do not rush and hence overcrowd pan, or you’ll end up with soggy, oily chicken. Wipe or clean out the skillet, and add the sauce. Bring to a boil over medium-high heat. 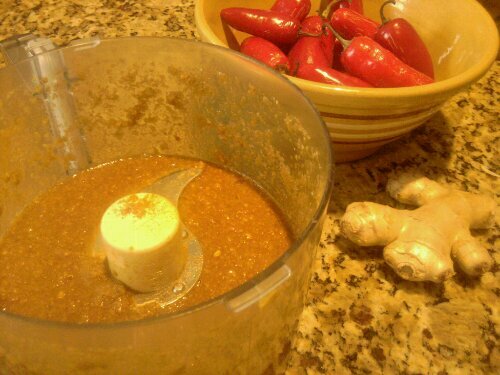 Mix together the cornstarch and 2 tablespoons cool water (no lumps please); stir into the sauce. Reduce heat to medium low, add the chicken pieces, and simmer, about 5 minutes, stirring occasionally. 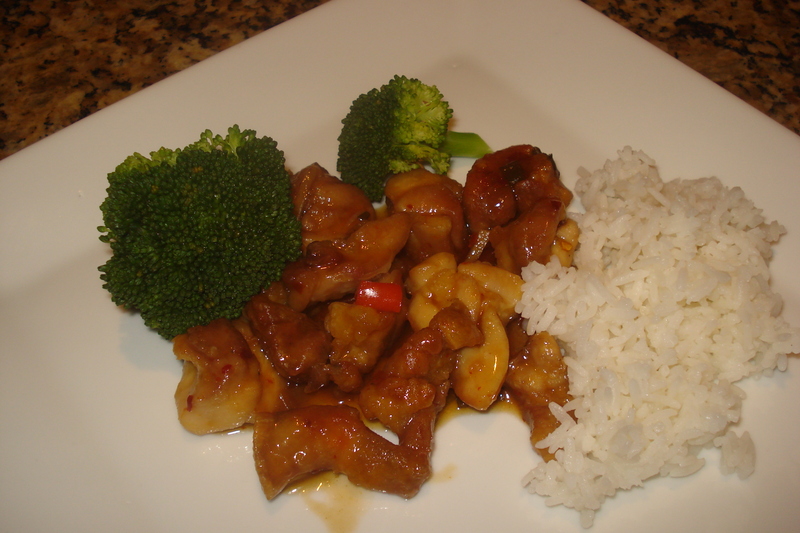 Serve with fresh lightly steamed broccoli and some brown or jasmine rice. Note: Oh, how I wish I had a deep fryer sometimes, even though I’d consider myself health conscientious! But I just cannot bring myself to getting one, for fear of frying everything from Snickers bars to cheeseburgers! So I refrain (for now) in buying one of those evol kitchen products. Ha!! 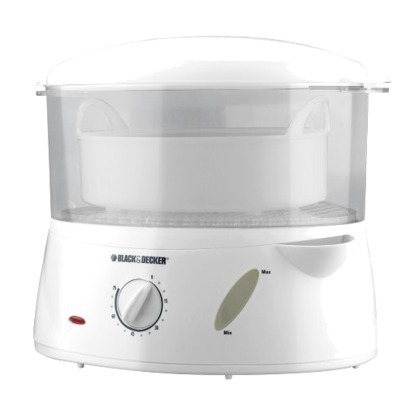 However: As mentioned before, one of the BEST kitchen products we own is our rice/ veggie steamer from Black and Decker. We’re on our 2nd one because we use it so much, we killed the first one! It’s an invaluable piece of equipment to own. Rice comes out perfectly every time and potatoes and veggies~ Divine. Microwaving is so bad for you and your lovely little veggies. Truly it is! Here is a good article on the dangers of microwaving! F.Y.I. Our friends tried this and they got the same results. Crab Rangoon~ Easy, Quick and Sooo Delicious! Beyond my affinity for a great hot and sour soup, I have to say… I adore, I mean ADORE crab rangoon. We have lived in a lot of different cities over the years and I’ve had a lot of the various crab rangoon offerings at our local Chinese restaurants and while I’m positive that these little packages of cheesy love are not anything close to something you would find in Asia, I still adore them. I have to say, after having probably too many of them over the years at our local Jade Gardens, Panda Garden, China Spring, Great Wall, Panda Express or whatever… I can say there are some that have been awesome and some that have been total rangoon doggies. Too cheesy, too fishy… you name it. I decided along with my hot and sour soup night a couple of weeks ago to give it a go. I figured really, what could they possibly have to work with (with the exception of a handy deep fryer!) that I don’t have here? 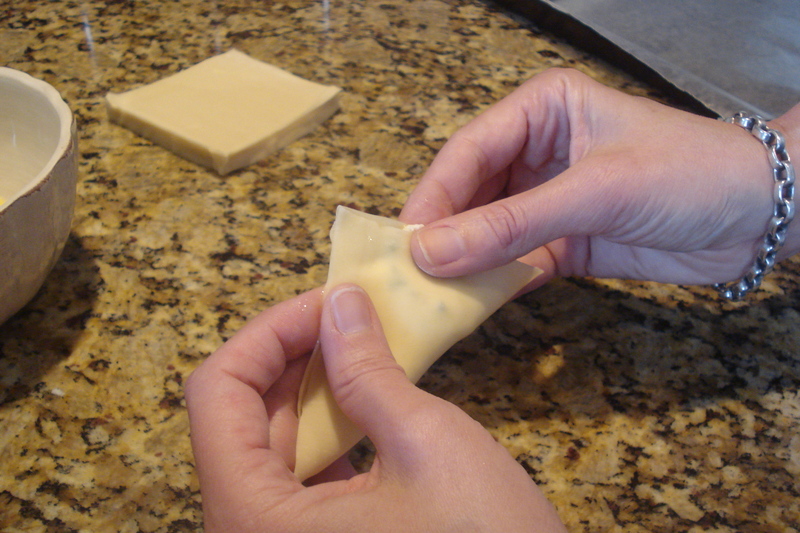 So I searched the internet for various recipes and found that everyone had their rendition of the rangoon. 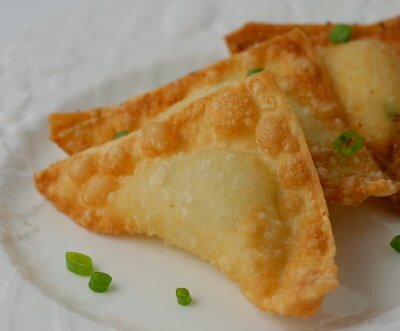 I have to say, while I of all people can appreciate a good addition of spices and herbs, I am fond of the basic, cheesy, somewhat sweet with a touch of green onion in my rangoon. Nothing fancy, nothing overly special. 1. Once you make them, cook them. DON’T wait to cook them. Do it immediately! I tried making them ahead of time tonight and it was an EPIC FAIL! Mostly due to the fact that they got too warm ahead of time and pretty much exploded in the hot oil. 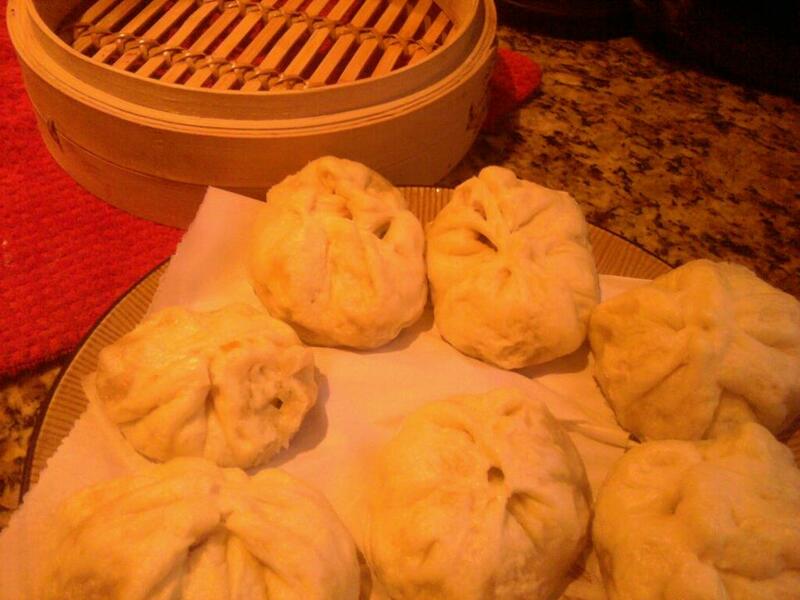 Considering my first attempt at making them worked out beautifully and I did nothing different this time, except for allowing them to sit in a warmer environment prior to cooking, that is all I can determine that was different from the first time. Now that being said, I wonder (though I cannot vouch for this hypothesis) as to whether they can be made ahead of time and refrigerated to a cold temp and then cooked off later. 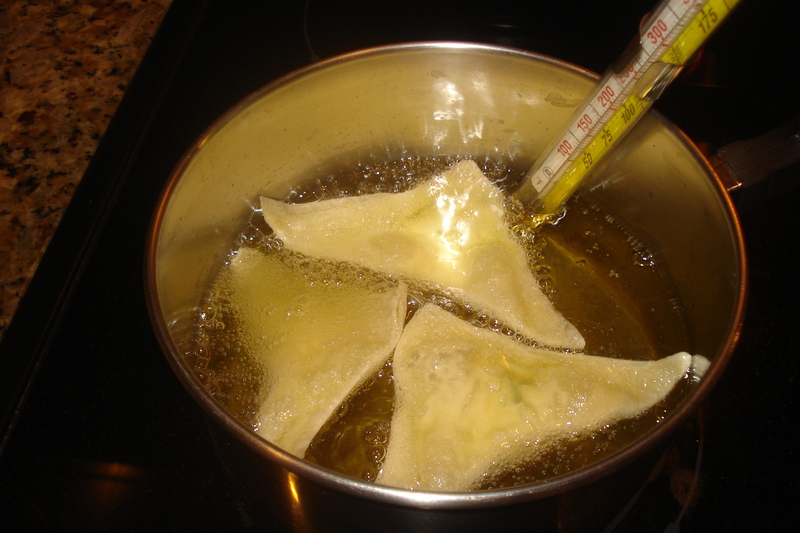 Honestly, I think my downfall was the wonton wrappers getting too soft and warm and therefore breaking down upon hitting the hot oil. 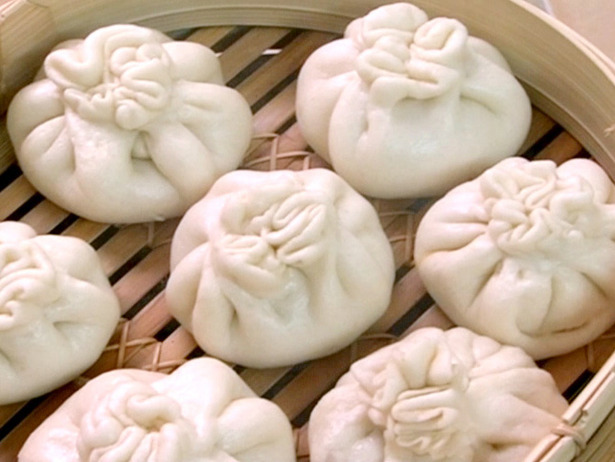 I know the Chinese restaurants are not making these to order, but as I said… it’s a new recipe. So give it a whirl! 2. Use a thermometer for your oil. Keep it at a consistent 350 and watch it as it will fluctuate a lot as you add and remove the rangoons. 3. Be careful to make sure that your rangoons are well sealed. Otherwise, they will leak and make a huge mess in your pot. Yuck! So here goes… Like I said, it’s basic and reminds me of the rangoon I’ve had that tasted the best over my years of traveling. Blend your first four ingredients well, until you end up with a nice fluffy mixture. Heat 3″ of vegetable oil until it reaches 350 degrees. I use a small saucepan pot. Nothing too large. 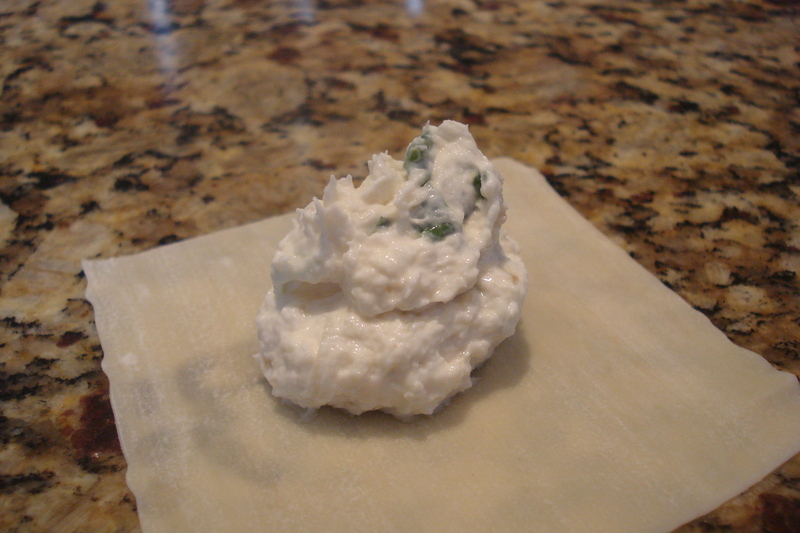 Take your wonton wrappers and place about 1 heaping teaspoon of crab mixture in the center. 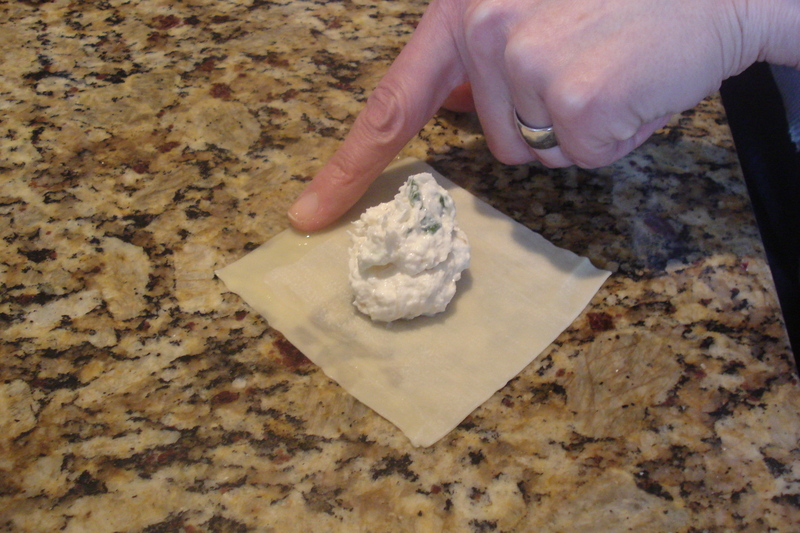 Take your finger and run a small amount of egg on two sides of the wonton wrapper (this is your glue). 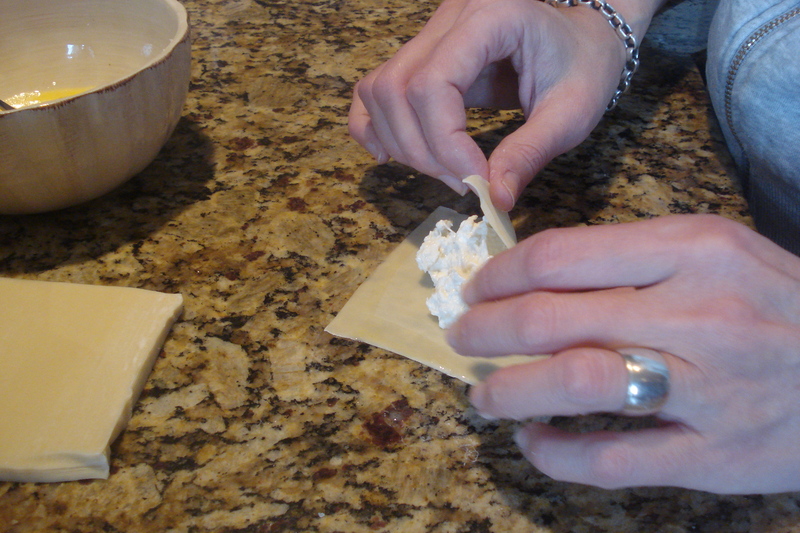 Fold your wonton over making a triangle shape. Make sure that your edges are well sealed. Of course you’ll want to cool them on some toweling to absorb some of the oil. 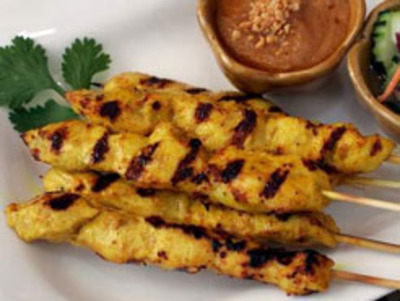 Serve with your favorite dipping sauce, duck, hot and spicy mustard, chili dipping sauce or whatever strikes you.